Inspiration strikes in unexpected places. For Alex Au, that place was a viewing party for reality television show, The Bachelorette. Women at the party made bets on which contestant would get eliminated, who would get a rose, and who would ultimately be the winner at the end of the season. Party guests even kept score in notebooks. “It was like fantasy football,” he recalled. The party validated an idea he’d had for years to bring interactivity to television. Au developed XO, the first interactive dating show from his startup Tally. Viewers match a bachelor and bachelorette based on their interests and decide on which questions they should ask each other during date. In the end, the audience votes on whether the couple is compatible. The dramatic twist comes when the couple is asked to pick “love or money.” If they both pick love, they go on an all-expenses-paid date. If one picks love and the other picks money, the person who picked money gets cash. If they both pick money, they both leave empty-handed. XO is the first of many shows that will help Tally become the go-to mobile platform for interactive shows. The key demographic is 14 to 24-year-olds who regularly watch digital content on sites and apps like YouTube, Instagram, Twitch, livestreams and more. To learn more about the entertainment industry, startup success and business, Au is taking part in the Comcast NBCUniversal LIFT Labs Accelerator, powered by Techstars. 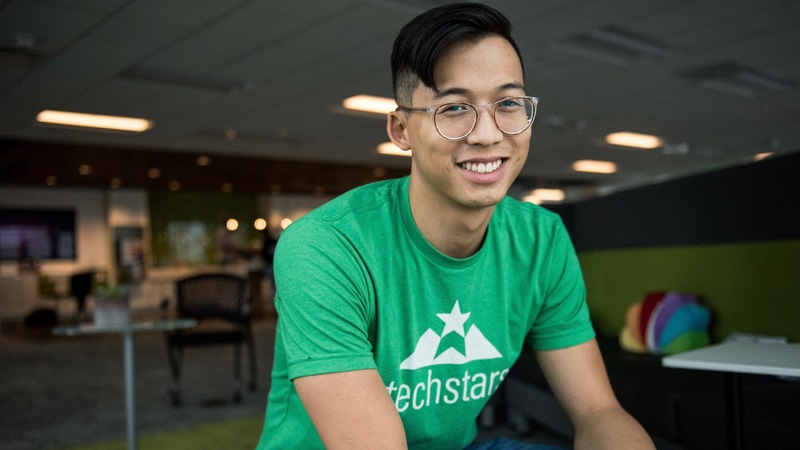 During the 13-week program, he’s receiving mentorship and business advice from executives at Comcast NBCUniversal, as well as from Techstars’ vast network that helps entrepreneurs succeed. Au’s entrepreneurial drive comes from his father, an immigrant who owns his own electrical contracting business in Vancouver. Au’s strong work ethic and scrappy attitude helped him make Tally so successful so fast. He founded the company just six months ago and has just one other full-time employee. But that hasn’t stopped him from producing XO and other Tally programs without any background in creating shows. Au was shy as a kid, and found groups in the Diablo role-playing games to be particularly fun and welcoming, giving him a special connection to online community building. As he grew up, he played less and less. But as an adult, Au was reminded of the power of online communities while working at Revlo, a startup that integrates engagement into content on livestreaming service Twitch. Au helped build Revlo — a YCombinator Summer ‘16 cohort — into a massive success with more than seven million monthly users and a network of 35,000 live streamers. He says it’s truly amazing to watch online communities come together and see people form lasting relationships.